This pattern was created for LYS Day. Reflect your love for your local yarn shop—or just show your love for everything and everyone! 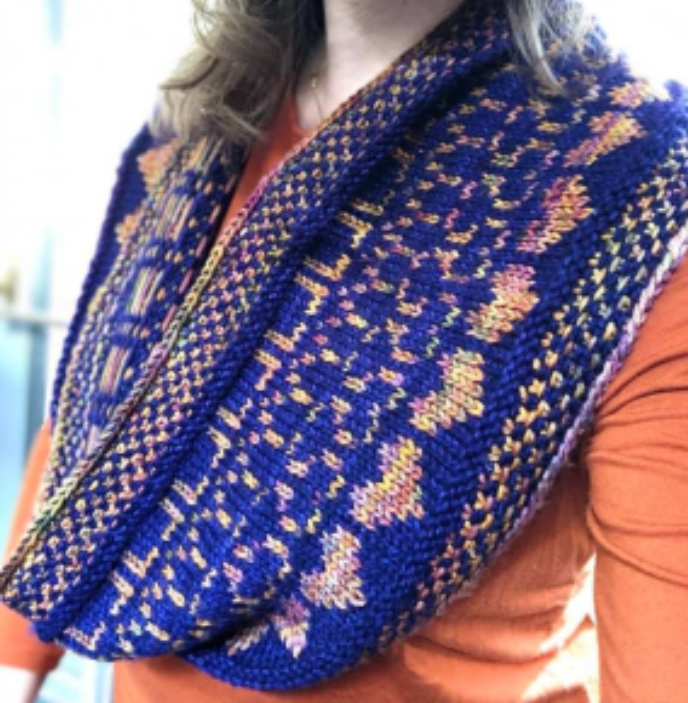 Learn/practice linen stitch and fair isle knitting while making a cowl Materials needed are 2 colors of worsted weight yarn and a 32” circular needles in sizes US 7. Homework: Cast on 192 stitches putting markers ever 16 sts and join in the round and knit a row.